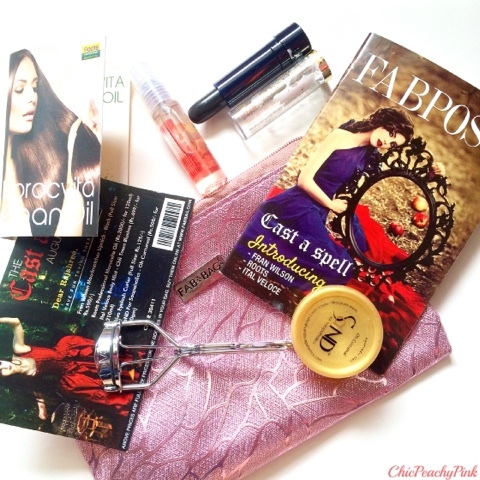 I am back again with another Fab Bag post and this time the theme for the month is Cast a Spell. Being a bit impatient that I am, I had already peeped into the profile of other people who had received their bags and that got me even more eager to receive my bag this month. On receiving the products I was uber happy as the products turned out to be much more fun then expected. 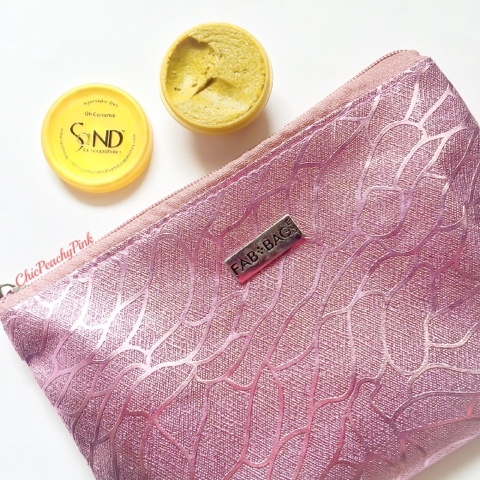 The products involved in this month's bag helped make this theme even more magical. To support the theme the bag that we received also very fairy tale inspired. As you can see it is a pretty pink bag with texture on it. Now let's unravel the products I received in this bag. I had tried this oil earlier in the July MSM Select box so this is not new to me. Sadly, I accidentally broke that bottle cause I am a bit clumsy at times. So when I saw this in the August Fab Bag I was delighted. I have only good things to tell you about this oil cause that's how much I love it. Its a bit thick in texture but still is so non greasy and doesn't weigh my hair down. The Vitamin A & E in it helps your hair stay strong and shiny like Rupunzel. You only need a tiny bit of product and it manages to control my frizzy hair so a win win for me. I do not try a lot of mists from other brands. In the past I have only opted for Victoria's Secret, Bath and Body Works and The Body Shop. I am happy that this product was introduced in the bag as the fragrance is divine. The scent is a mix of floral and fruity notes. I got the fragrance Chii Town Blushes and might I add how adorable are all the names of the fragrances. The mist stays on for around 2hours which is quite good enough for me specially since I am paying half of what I usually would have. It is the smallest and the cutest curler I have ever seen. I was super excited to try this curler when I came to know about it being included in this months bag. As they say surprises come in small packages and so it did . I really love the fluttery outcome I receive from this curler. The rubber padding part can be a bit tricky as it tends to come out but it can mended easily. Its always fun to have a beauty bag that has mystery products in them. However, once in a while its even fun to select a product or two of your choice to mix things up a bit. 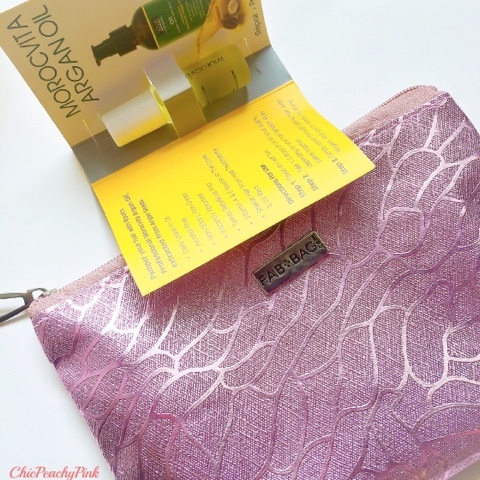 At the start of month Fab Bag allowed us to select any one product that we would like to be included in our bags and I choose the Oh Curcumal by SaND for Soapaholics. I have wanted to try SaND products for a very long time and I literally jumped at the oppurtunity I got. This product claims to be a cleanser but more than a cleaner I found it to more on the scrub side. It has an all natural product and has the goodness of gram flour, turmeric, glycerine, honey, kaolin, aloe vera, along with an essential oil blend of lemon, tea tree and grapefruit. The scent of gram flour, turmeric and tea tree oil is very strong and this product isn't for the faint hearted. After trying this product I simply love how organic and natural they are and will definitely try more from their range. I know what you must be thinking and No, we are not planning to go goth with this black lipstick. 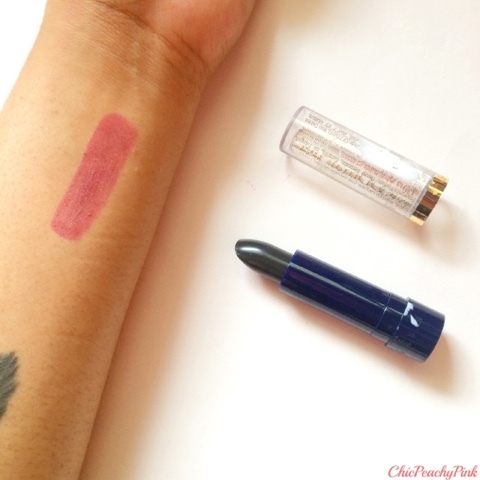 This unusual and exciting lipstick changes color on application. The lipstick reacts with your body chemistry and gives your a pretty color. I get a yummy berry shade on application which I clearly adore a lot, if you know about my immense love for Marsala. Though in the swatches below it appears to be a burnt pink but when applied on lips its a deep rouge shade. More than anything else I am impressed with the staying power of this lipstick. It can easily last upto 6-7 hours without reapplication. It doesn't get transferred and can survive meals easily. This surely sounds like a magical lipstick to me. Hope you enjoyed reading this post. 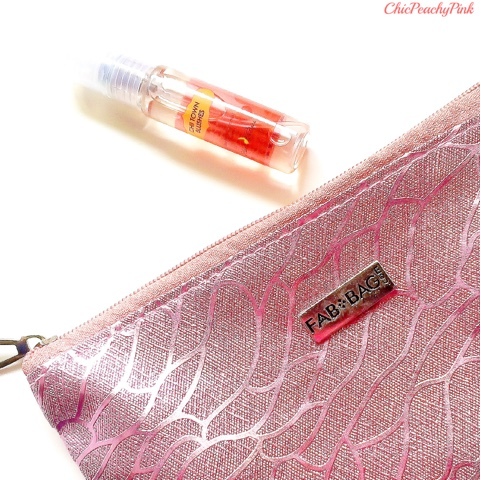 Also I would like to know which were your favorite products in the August Fab Bag in the comments section below? 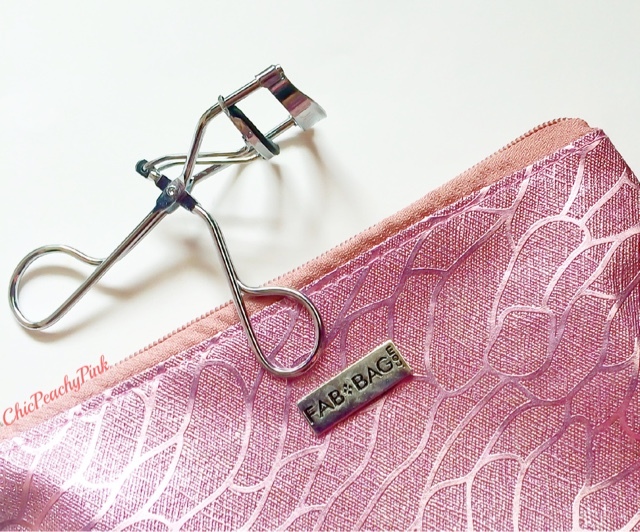 As well as you can even check out my previous Fab Bag post on the July Fab Bag: Red Carpet Edition . That's a lovely bag for august. Totally wana try out that colour changing lipstick. I'll go book it now. Great contents. Wanna check SaND for soapaholics brand. The body spray sounds awesome! Great rundown, babe! I have got the same products except for the SAND product, lucky you. So many great products. This sounds like a great service. That lipstick is so interesting. Would love to try it out. 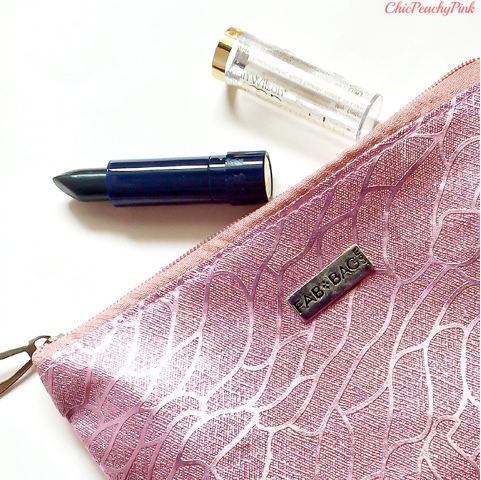 Such a pretty bag and that black lipstick is definitely misleading !! Nice bag! I've never seen subscription bags before, only boxes. It's a good idea! Thats nice. Which one did you get? I don't usually apply makeup but I really do think I would try the mood matcher lipstick! If nothing else then only for the thrill of it haha. Love it Rajshree, but do you use it often or just for novelty?